Back in the "Friendly City", we started with lectures and moved to a discussion about community programmes. The session was run by Salome Meyer (Advocate for Breast Cancer or ABC) and Estelle Botha from Reach for Recovery. The ideas discussed were the role ABC play, the importance of breast cancer NGOs and the importance of knowing who is around locally. 1. Campaigns need not be expensive. 2. There are many existing community organisations: use them. An example came from Anne Gudgeon who spoke at Gatesville Mosque last weekend. During the session, the Iman spoke. He reminded the audience that each individual is responsible for looking after their health. 3. When women present to the clinic with problems/for investigations, use the opportunity to examine their breasts. 4. When running breast awareness campaigns, bring up other issues eg Prostate cancer. I am hoping that there will be some imaginative and successful campaigns run by the participants. Sue Serebro ran the last session: lymphoedema management. Lymphoedema therapists are very few and far between in the Eastern Cape. She taught the students basic massage techniques and demonstrated bandaging techniques. She demonstrated the various compression garments and had all the participants doing exercises and self massage. A huge thank you to the faculty: Sr Lieske, Michelle Norris, Dr Anne Gudgeon, Dr Linda Whitelock-Jones, Salome Meyer, Estelle Botha and Sue Serebro. The course is dependent on sponsorship. We are sincerely grateful to our sponsors. 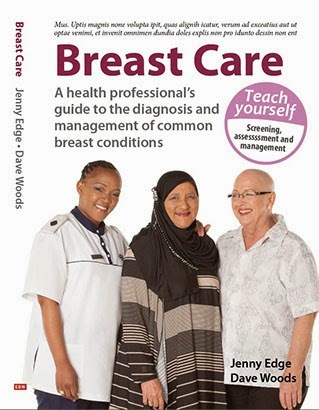 The course was run in the Netcare Education Centre in Post Elizabeth. The food and flights were sponsored by Christiaan Barnard Memorial Hospital and we are grateful to Chris Tilney for his generous support. Greenacres Hospital supplied the transport and helped with logistics. Karen from Baard brought the biopsy needles we used and Dr Linda Whitelock-Jones lent us her expertise and US machine. We are grateful to Care Cross and DigIt for ongoing and much welcomed support. Such a privilege to have been a part of the course. Met really interesting and varied people.